As anticipation mounts for November’s mid-term elections, these billboards serve as timely reminders of the importance of getting out to vote and holding elected officials accountable to making reason-based policy decisions. Current Pew surveys reveal that a quarter of adult citizens and more than a third of Millennials qualify as “None,” either specifying atheism, agnosticism or no religion. Since 1990, the number of Americans with no religion has nearly tripled, from about 8 percent to 23 percent. With this trend projected to continue, “Generation Z” is primed to be the least religious generation yet, with about one-fifth claiming to be explicitly atheist or agnostic. There are now more “Nones” than Catholics, and by 2035, the Nones are projected to outnumber Protestants. The billboards will be on display for a month in Denver - one of America’s top 30 nonreligious cities. 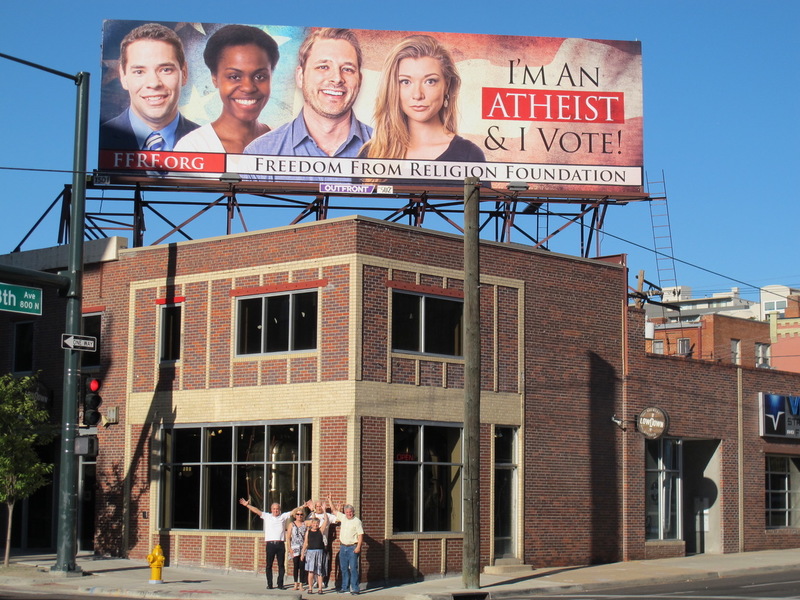 The campaign is a joint venture between FFRF and FFRF’s Denver chapter. The Freedom From Religion Foundation and its membership work to promote the viewpoint of freethinkers, including atheists and agnostics, and to protect the constitutional principle of separation between religion and government. FFRF has roughly 32,000 members and several chapters all over the country, including more than 800 members in Colorado and chapters in both Denver and Colorado Springs, 97 percent of whom are registered to vote.